Cooke Optics has been producing lenses since 1890, and has gone hand in hand with some of cinemas greatest cinematographic achievements in film history. In fact, the company won a special Academy Award of Merit in 2013 for defining the look of motion pictures over the past century. Effectively, it won an Oscar for film lenses, and developing what has become known as the “Cooke Look”. Using them will be pretty simple for current miniS4/i users as you just need to unbolt the PL mount on any of the cine lenses and replace it with a new mount and shim. For new users, the lenses will be available with the mount of their choice from Cooke when they become available on the market. 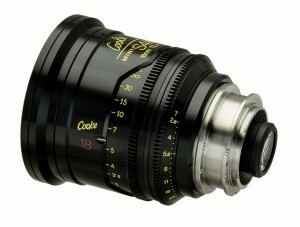 This move opens up a brand new market to Cooke Optics as well as opens a new selection of lenses to DSLR filmmakers. There is currently no pricing information on the new miniS4/i mounts which will be available sometime in October 2016. Check out Cooke Optics’ site.